I feel very honored to be able to help by making cards for your very thoughtful gift cards of love! I wish I could have made more! I put a lot of love into the cards that I did make and I will be mailing them out to you tomorrow! God Bless you!! I am very grateful I was able to donate to your wonderful cause. 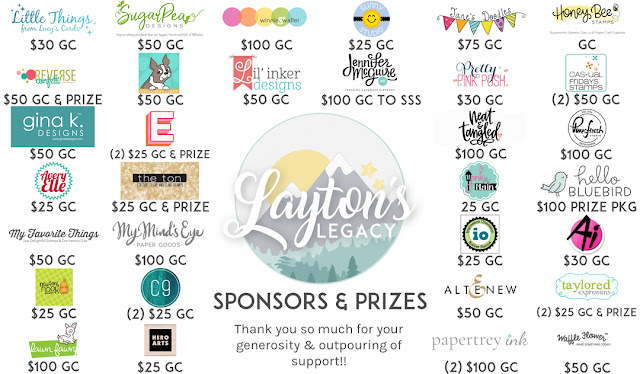 It made so happy to see how much was raised to help the NICU parents! Just a fantastic result. I had tears in my eyes the minute I read your post and saw the picture of your adorable Layton. Congrats to all the winners. You will be giving a LOT of people a bit of sunshine in their day! Congrats to all the winners too!!! Hi Lea, for some reason I was unable to link up the cards I made but I hope you have received them. Not only was this an inspirational hop but more importantly, the reason behind it and how appreciative these parents will be by your thoughtfulness. It will mean a lot, God bless you!